Ai Weiwei is one of China's most famous contemprary artists, as well as a vocal critic of human rights abuses (which has led to his house arrest). 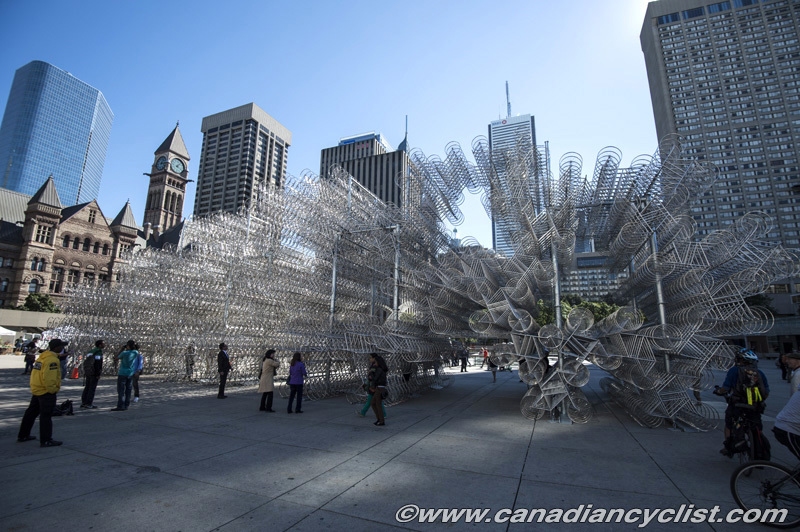 A show of some of his more famous works of art is currently showing at the Art Gallery of Ontario (well worth seeing), plus a version of one of his more famous works - Forever Bicycles - has been built in Nathan Philips Square in front of Toronto City Hall. 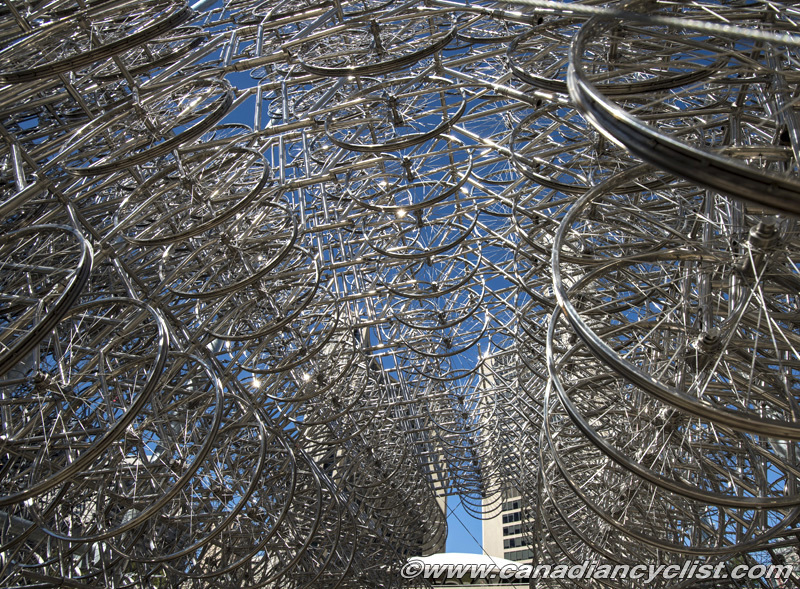 Made of interconnected bicycles manufactured by the Chinese-based Forever Bicycle company - a record 3144 in this case - it is an incredible structure. The sculpture is in place until October 27th (as is the full exhibition at the AGO). If you get a chance, drop by Nathan Philips Square. We have some photos below.